Conquer the air bubbles in your clay! The newest patterns and designs feature a flat bottom for standing the tool upright and ready to use! These handmade polymer clay tools contain a supper fine needle so you can burst those pesky bubbles in your polymer clay sheet. 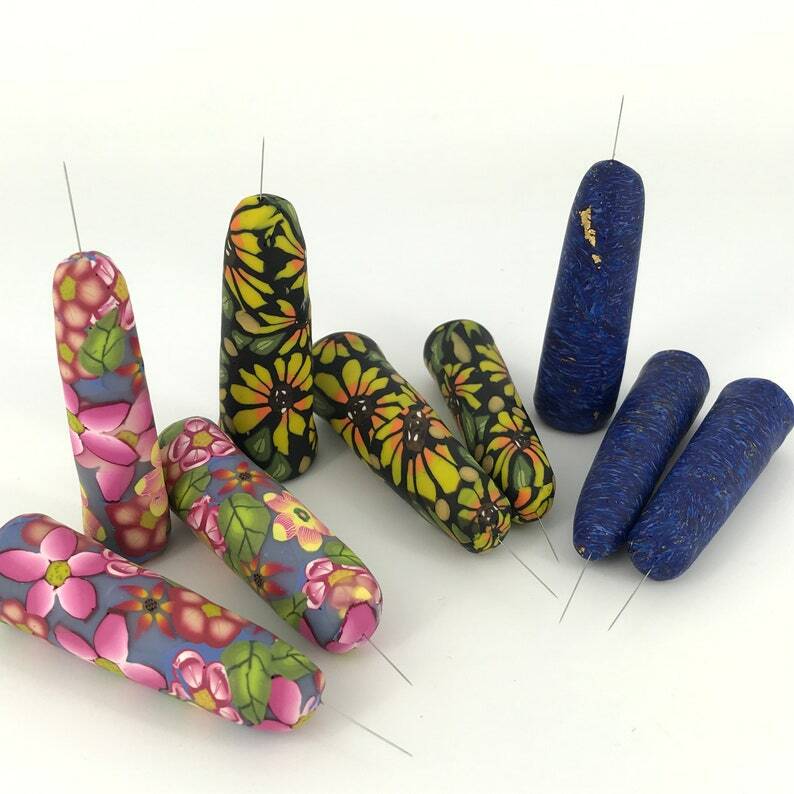 The thinnest, sharpest needle around is hand fashioned into a tool that is sure to bust those naughty little blisters and bubbles that appear on the surface of your polymer clay sheets! If you have used pins, pokers, needles, and your elbow (!) to get rid of those air bubbles - here's an answer for you - poke it with this super thin needle and gently smooth it closed - NO cuts or HOLES TO FILL! The tool is easy to hold, about 3" total length. Each one has a handmade polymer handle in an array of color combos shown above. Choose your favorite pattern and color - BUT be aware these are all handmade and will vary within the pattern. The tool is packaged either in a plastic tube or with a foam square on the needle. Be careful with unpacking it! It won't damage you, but it will hurt if you poke yourself! I keep mine on a tray on my work bench, ready to use. Be sure to protect the needle tip if you will be transporting it as it is very thin and could be bent. Use pliers or fingers to straighten it if it does becomes bent. I use my fingers to straighten it up if it becomes wonky. Finally! The answer to your blister woes! 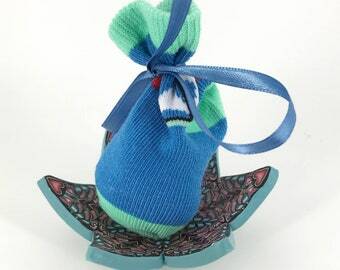 Remember: these are handmade so size and color will vary from what is shown. I use a lot of Linda's tools with polymer clay! They are great tools , highly recommend them ! These are fantastic little tools for sanding those tight places. I use them for green clay as well as metal pieces I'm finishing. Love them and always re-order before I run out! I have purchased products from this store before and have always been very satisfied with the quality of product, the prompt shipping and excellent communication with store owner. I am truly a happy customer! As described, and shipped timely. Great communication. A pleasant experience with great seller.